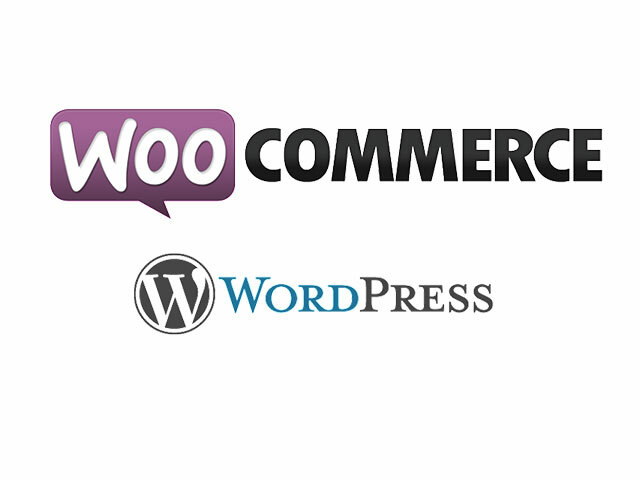 Best Free Spices Store WooCommerce WordPress theme builds with Genesis Framework, shopping cart supported by WooCommerce 3.x, Responsive Layout, Easy to Customize! 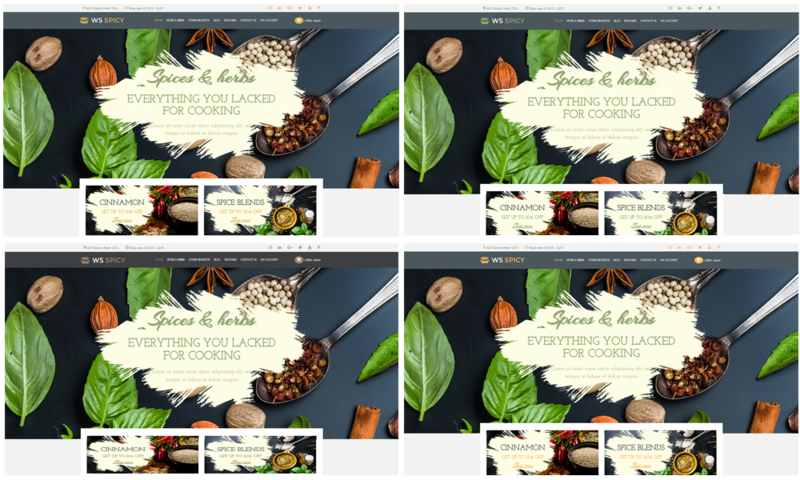 The Spices Store WooCommerce WordPress theme has been redesigned with fresh color and large images of spices look easy on the eyes and nicely work for displaying a variety of food products. 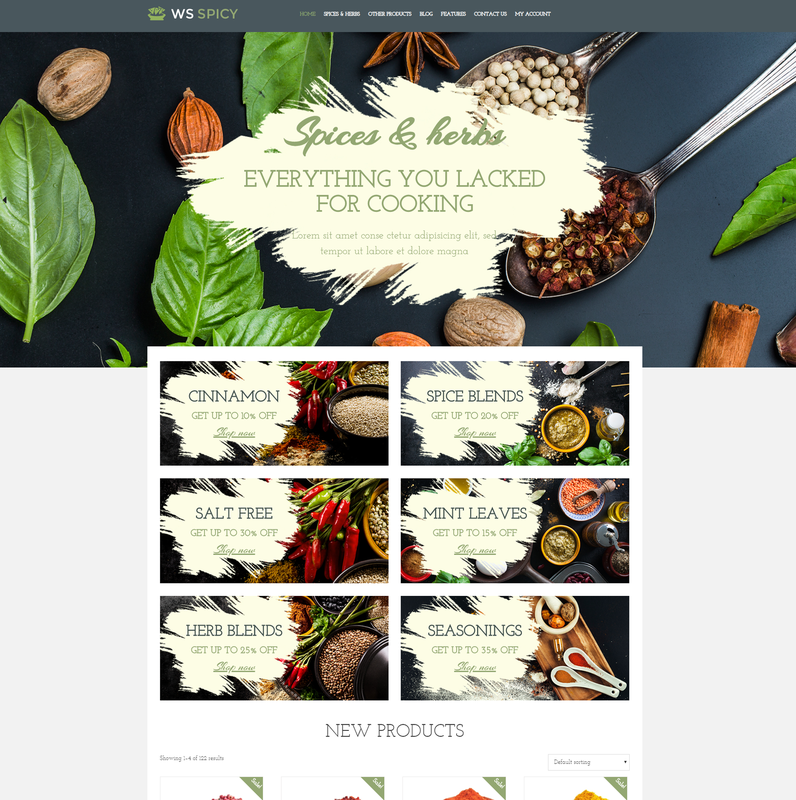 WS Spicy is a nice WooCommerce WordPress theme for cooking ingredient online shops and cooking relating websites. Nowadays, people not only go online shopping for clothes, shoes, house equipment, but they can also buy cooking ingredient online for its convenience and availability. WS Spicy is a beautiful theme for showcasing cooking ingredient or relating to kitchen products. With support of online ordering system, it’s fast and convenient for customers to take an order and pay. My account is also provided for customers to control what they bought and what they want. WS Spicy builds on powerful framework with fully bootstrap supporting elegant page builder and easy to drag-drop layout content. 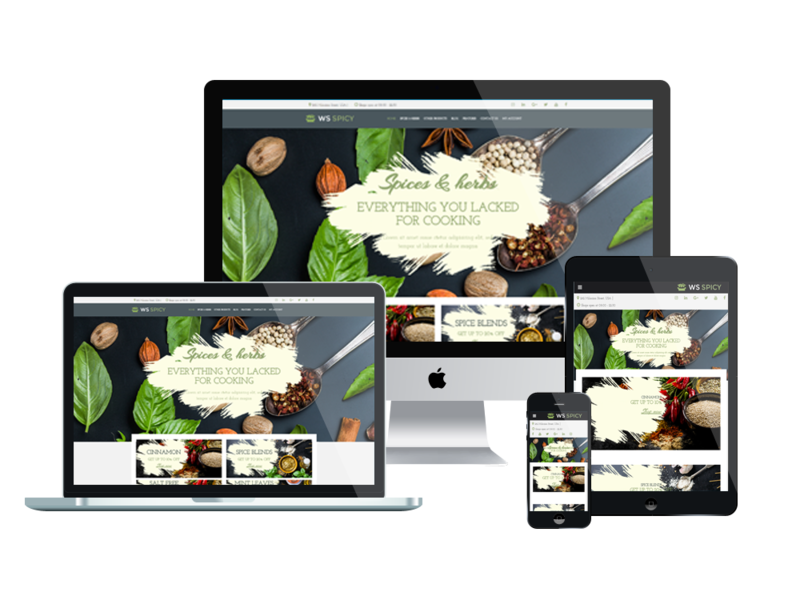 It is possible for your customer to shop online on their cell phone, because this theme supports 100% responsive layout, clean and stylish on all kinds of mobile devices. Especially, unlimited color and color picker can be controlled by admin panel, which helps you easier when editing. Sounds interesting? Come and view Live Demo now!